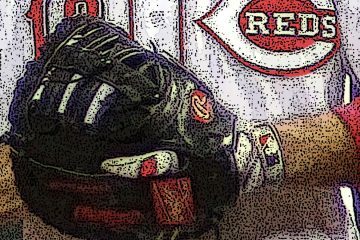 The Cincinnati Reds (8-10) make their first trip of the 2014 season to the ballpark where their 2013 season ended, facing the Pittsburgh Pirates (8-11) in a four-game series. Since dropping 2 of 3 to Cincinnati one week ago, Pittsburgh lost 3 of 4 to the Brewers over the weekend to drop into 4th place in the NL Central. Steve Mancuso covered the Pirates in detail in last week’s series preview. Since that preview was written, the Pirates acquired Mets first baseman Ike Davis for minor league reliever Zack Thornton and a player to be named later. Davis is expected to make most starts against right handed pitchers. Gaby Sanchez will continue to see starts against left-handed pitchers. Travis Ishikawa, who was the Pirates opening day 1st baseman and had started 10 of Pirates first 12 games, was designated for assignment. Catcher Chris Stewart was activated from the DL over the weekend and steps into the role of Russell Martin’s primary backup. It’s possible that the Pirates lose Travis Snider this week if baseball levies any suspensions in the wake of Sunday’s brawl with the Brewers. At the beginning of the Brewers series, the left-handed batting Snider was dropped from his #2 spot in the batting order, and has been benched the past three games in favor of Jose Tabata. The Pirates pitching really struggled this week. They had a team 4.90 ERA (14th in the NL), and 1.40 WHIP (11th in the NL) this week. The starting pitching has really let this team down so far in 2014. Their SPÃ¢â‚¬â„¢s 4.50 ERA ranks 13th in the NL, and their 1.31 WHIP is tied for 11th. The only good starting pitcher for the Pirates has surprisingly been Edinson Volquez (1.89 ERA, 1.00 WHIP, 11 K, 4 BB, 0.3 WAR). The Pirates offense has been pretty good so far in 2014. Entering Sunday, their 78 runs scored were tied for the 4th most in the NL, and their 23 homers were tied with Atlanta for the most in the NL. All four games, including the Thursday afternoon game, will be available on Fox Sports Ohio. If you are in the Pittsburgh regional market, Monday and Wednesday’s game will be on Root Sports. Nationally, tonight’s game is the Monday night game of the week on ESPN. MLB Network is also listed as a carrier for the Thursday afternoon game, but game availability will vary by market. The Pirates have only scored four total runs in Liriano’s four 2014 starts. He was on the losing end of a 4-0 Reds win last Wednesday. Tuesday, 7:05pm – a soggy morning, followed by a partly cloudy afternoon and game temperatures in the 50’s. Former Reds pitcher Edinson Volquez has found early success under the tutelage of pitching coach Ray Searage. Through 21 innings this year Volquez has cut down on his walk rate to only 1.7 BB/9 compared to his career rate of 4.7 BB/9. Volquez hasn’t allowed more than 2 runs in any of his three starts in which he faced the Cardinals once and the Brewers twice. Last week, Fangraphs examined Volquez’s early rebound. Charlie Morton has had two starts against the Cubs and two against the Brewers this year. He’s had one quality start against each club, and one start against each club where he allowed 5 runs over 6 innings. In his latest start against Milwaukee, Morton allowed 8 hits, 2 walks and 5 runs over 6 innings while striking out 3. Rodriguez has gotten off to a rough start in 2014, as he has allowed 14 runs in his last 14 innings pitched. That includes the 6 runs he surrendered over 5 innings in last week’s start against the Reds. Rodriguez coughed up 3 homeruns that night, and has allowed 7 homeruns in 20 innings pitched. 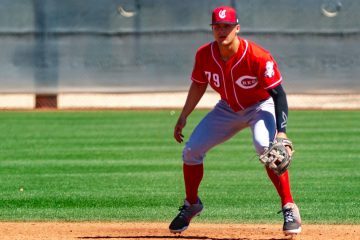 UPDATE: Rodriguez was placed on the DL April 21 with a right knee injury. Jared Hughes was promoted from AAA Indianapolis before Monday’s game as an extra arm in the bullpen for this series. A replacement starter for Thursday’s game has not yet been announced. The Reds will look to continue their recent offensive surge against the struggling Pirates pitching staff. That includes closer Jason Grilli, who blew back-to-back saves against the Brewers the last two days. Grilli blew only two saves all of last season. Their stadium will likely only be half full, at most. While I expect the crowd that is there to get into, especially if it is a close game, it won’t be nearly as loud as it was last Fall. Great job with the preview, Greg. One more detail to add on the bullpen: Grilli, Melancon and Watson have all been used the last two games and Gomez threw 34 pitches yesterday. Good time to pounce on a wobbly Pirates team right now. Keep the pedal down on the road trip. Wandy Rodriguez now on the DL.